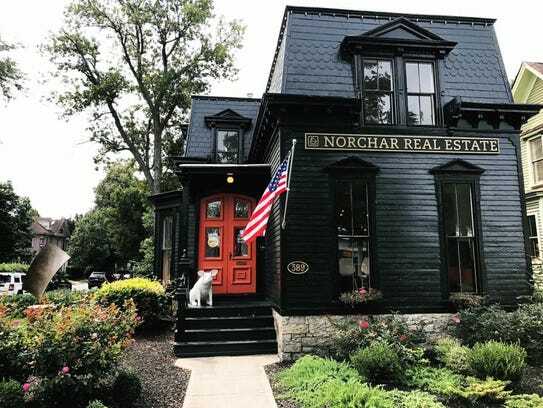 The pig, which was bolted to the front porch of Norchar Real Estate, 389 Park Ave., was stolen about 3:20 a.m., said Norchar's owner Craig Schneider. "We're now on a pig hunt," said Schneider. "We'll do anything to get him back." 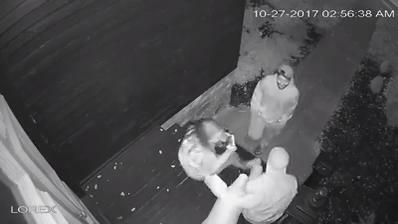 A surveillance video shows three people approaching the pig and a man pulling the statue, still attached to wooden boards, off the porch. The trio apparently stopped by 20 minutes earlier and snapped selfies with the statue. 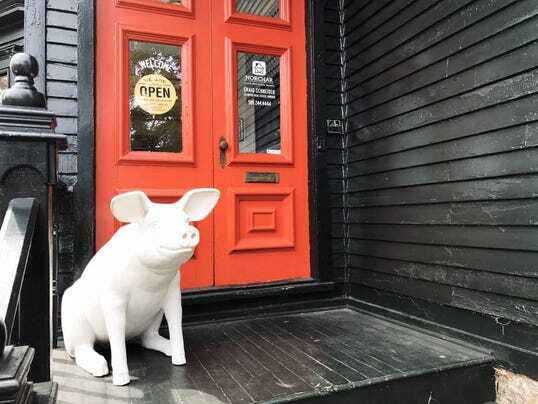 Named "Wilbur" by Schneider's daughters, the pig statue has been on display at the business since August, when Schneider purchased it from a business on Cape Cod. The three-foot-tall statue has brought many smiles to passersby and patrons, he said. Previously, American flags and other small items have been stolen off the property. But because the pig was bolted to the porch, the thieves "did quite a bit of damage when they removed it," he said. The porch will need to be repaired. "We aren't looking to press charges but we do want our pig back," he said. Norchar Real Estate is offering a $100 reward for information leading to the pig's return. Anyone with information about Wilbur's whereabouts is asked to call Norchar at (585) 244-4444 or call 911.